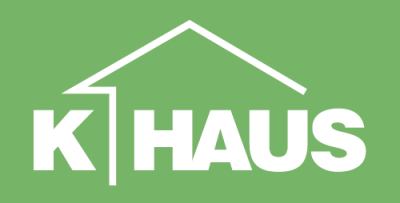 K-Haus Limited understands that your privacy is important to you and that you care about how your information is used and shared online. We respect and value the privacy of everyone who visits Our Site and will only collect and use information in ways that are useful to you and in a manner consistent with your rights and Our obligations under the law. means K-Haus, a limited company registered in England under Company No. 09754175 whose registered address is Crane Court, 302 London Road, Ipswich, Suffolk IP2 0AJ and whose main trading address Crane Court, 302 London Road, Ipswich, Suffolk IP2 0AJ. 2.2 We are a member of NaCSBA (National Custom & Self Build Association). You have the legal right to ask for a copy of any of your personal data held by Us (where such data is held) on payment of a small fee which will not exceed £1. Please contact Us for more details at info@K-Haus.co.uk, or using the contact details below in section 13. 12.What Cookies Do Us Use and What For? 12.2 By using Our Site you may also receive certain third party Cookies on your computer or device. Third party Cookies are those placed by websites, services, and/or parties other than Us. We use third party Cookies on Our Site for <>. For more details, please refer to section 5, above, and to section 12.6 below. These Cookies are not integral to the functioning of Our Site. 12.4 Before Cookies are placed on your computer or device, subject to section 12.5, you will be shown a Popup message bar requesting your consent to set those Cookies. By giving your consent to the placing of Cookies you are enabling Us to provide the best possible experience and service to you. You may, if you wish, deny consent to the placing of Cookies; however certain features of Our Site may not function fully or as intended.